This summer is the first summer that my husband and I have an outdoor space to call our own. We spent the first almost 5 years living in apartments without a patio or yard. 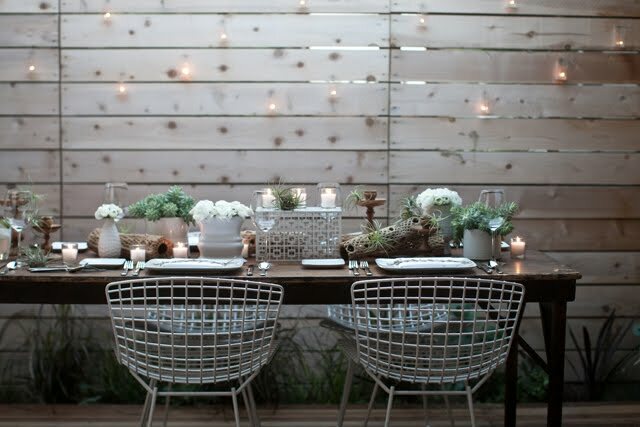 I am so excited to create an outdoor space where we can spend summer evening together. I have been searching for inspiration and here is one of my favorites. JL Designs did an excellent job creating such a relaxing and romantic outdoor space out a relatively small area. 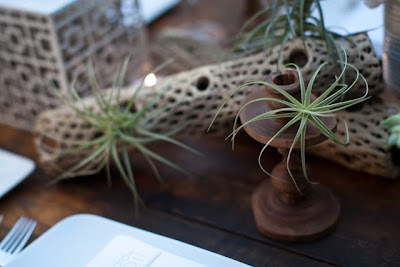 I love how organic it feels with the wood backdrop, table top plants and fresh cut flowers. I plan to take some of these ideas for our own outdoor space. Visit their site for more photos and details. 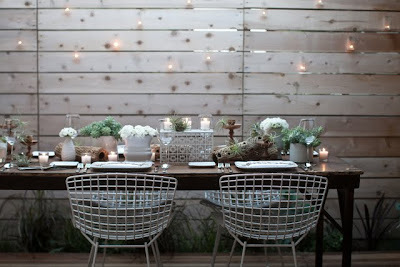 I am loving this outdoor space too! 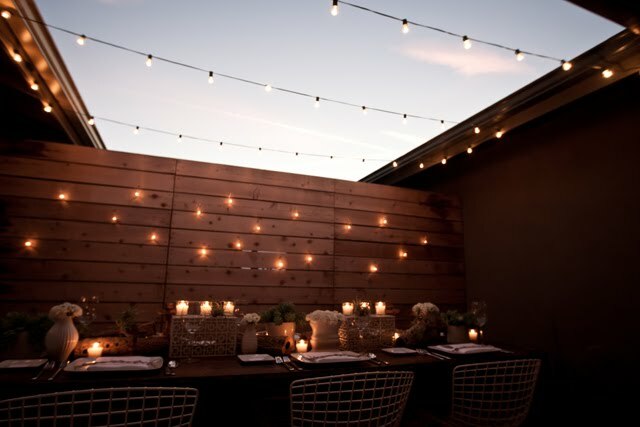 I want to have friends over there tonight and eat with the ambiance of all those tiny party lights!